Lilies are well-known to have long and strong stems with beautiful flowers. Lilies make for a perfect gift to surprise their loved ones on various occasions or just to express their feelings. 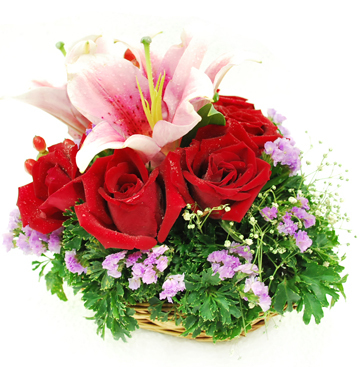 This rich and colorful bouquet combing lily flower and red roses in a basket with seasonal fillers is a lovely surprise for your loved ones.